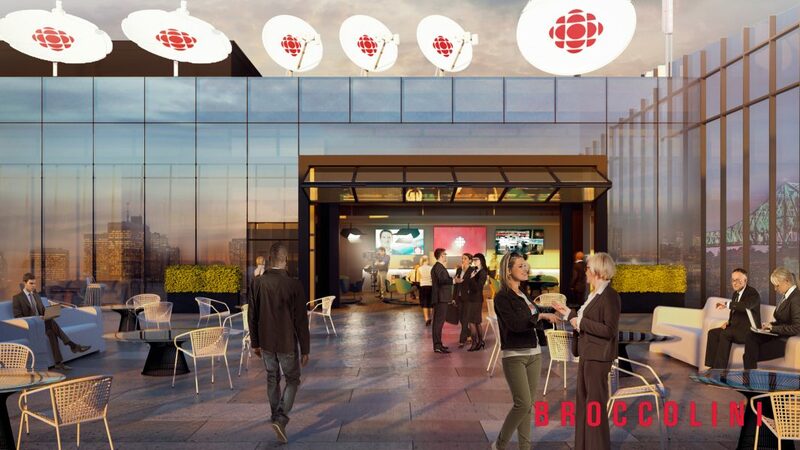 The CBC/Radio-Canada Board of Directors has approved a proposal for the building of the new Maison Radio-Canada (MRC) broadcasting facilities in Montreal, Quebec. Real estate developer and builder Broccolini will lead a consortium consisting of Béïque Legault Thuot Architectes (BLTA), a Montreal-based firm with vast experience in commercial real estate and high-rise residential projects as well as Quadrangle, a Toronto-based firm who will contribute their extensive experience with large-scale projects for clients in the telecommunications and media industries. Other consortium members are mechanical and electrical engineers Dupras Ledoux Inc and structural engineers NCK Inc.
Radio-Canada’s new home in Montreal will be built in the parking lot east of the broadcaster’s existing building at the corner of René-Lévesque Boulevard East and Papineau Avenue. Radio-Canada will become the lessee of these new facilities under a 30-year lease. Construction is set to begin in September 2017 and the project is slated for completion in January 2020. 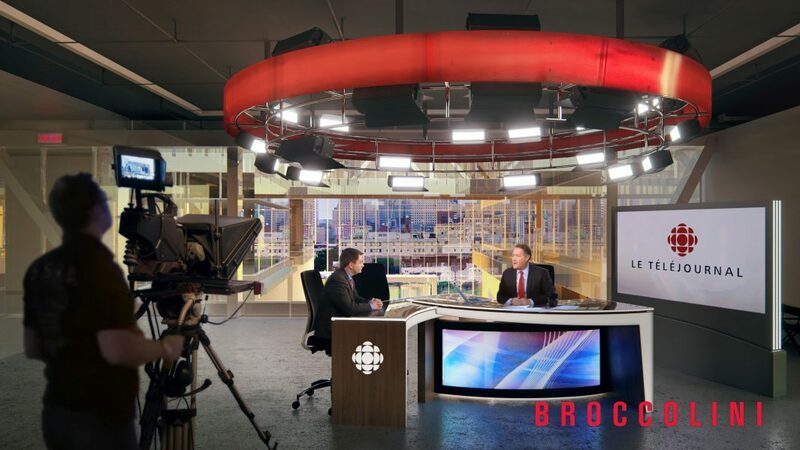 Reflecting Radio-Canada’s mandate to be more open and accessible, key features of the new proposal include clear and simple wayfinding, interconnected spaces with the public and ample natural light on all floors. Creators and programmers will work within modern and versatile spaces which will support the collaborative workplace strategy of the digital, multiplatform public broadcaster. The building’s sky lit central atrium located at the centre of the building will serve as a public entrance and also as a pivot point for the work areas that surround it. 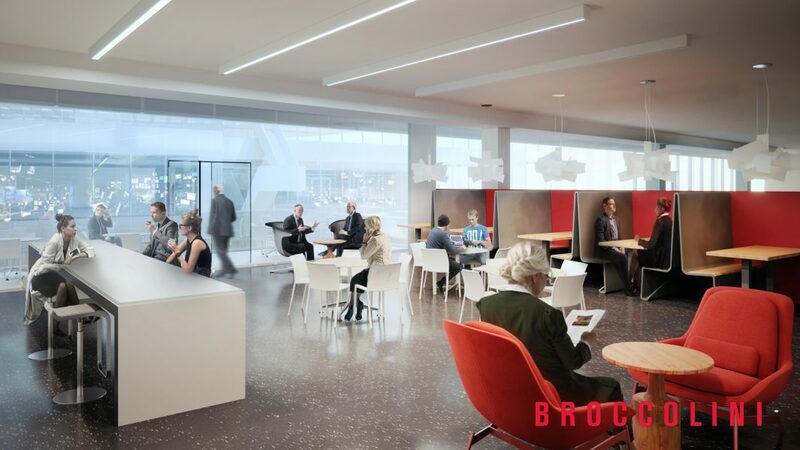 The connection between the different spaces will be further supported by bridges that connect the various floors, providing for greater ease of communication and creating a dynamic, lively heart of the complex.